Welcome. I’m pleased you want to find out more about me. My name is Victoria Rose. I am an experienced, trained and non-judgmental Conscious Uncoupling coach and supporter. One of the very few based in the UK. I live in West London. I am also a certified Calling in “The One” coach. In both these programs I have been personally trained and mentored by the author and founder, Katherine Woodward Thomas MA, MFT. As well as being an expert life and relationship coach I have worked as a declutter consultant and organiser for over 20 years. In all areas of my work I combine my professional expertise and private experience with insight, sensitivity and compassion and a strong practical streak. I work alongside my clients to support and guide them through their own transformation and to help them “clear the way for your future”. I have a passion to coach people to clear their physical as well as their mental clutter. 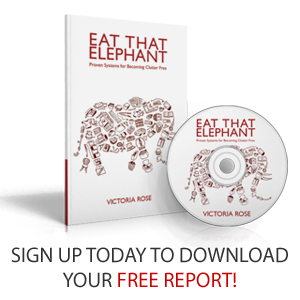 I am the published author of Eat That Elephant: Proven Systems for Becoming Clutter Free in which I describe my proven ROSE system for identifying and dealing with 3 categories of clutter: things, tasks and emotional or “head and heart”. This passion for sorting, organizing and getting a job well done is matched with my sensitivity to others and a respect for appropriate context. I have a meticulous eye for detail but also an ability to see the bigger picture. I have a corporate background in project management, administration and training in the computer, retail and events industries. For several years my main project was raising my 2 sons though this period also included involvement with the National Childbirth Trust, the Richmond Project for Children with Special Needs and the Charing Cross Hospital Cancer Support Group. 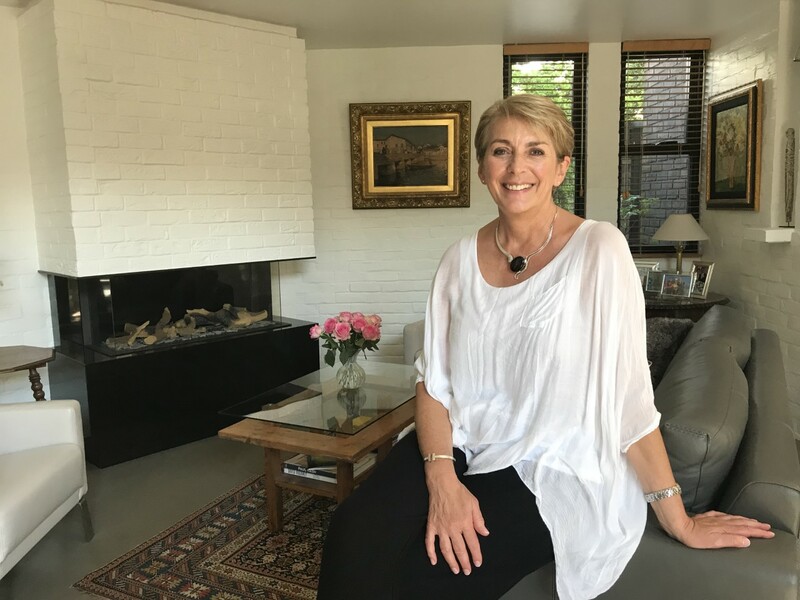 For over 20 years I have also been an expert facilitator and mentor with an international personal development foundation, licensed to teach courses in Self-Esteem and Being On Purpose. I have an Honours Degree in English and Education from York University reflecting a lifelong interest in arts and humanities. Above all my aim is to develop and help people identify and clear any real or imagined blocks which may be getting in their way in whatever area of their lives. If this is clutter, I aim to leave behind me a legacy of organized, maintainable and transparent systems. I know the satisfaction and achievement of a job fully completed and well done. If it is the Conscious Uncoupling program, I help my clients to move through the often complex and painful emotions experienced around relationship breakdown. I guide them through mutual resentment and blame to find new acceptance and creative possibilities for both parties, their families, friends and community. As a divorced parent of two sons for over 20 years, I know myself how challenging life can be for blended families, and also how vital and rewarding living lives of mutual respect, attention and care can be. If I am working with Calling in “The One”, I can share how a synchronistic meeting following the death of my father took me to LA to train with Katherine as a coach. Then how this process enabled me to help not only others but also myself to find a new profoundly life-enhancing love. I am committed to my own on-going growth and development. I am dedicated to helping others find ways to improve connection and fulfillment in all their relationships. I would be delighted to have an opportunity to explore how I might work with you.